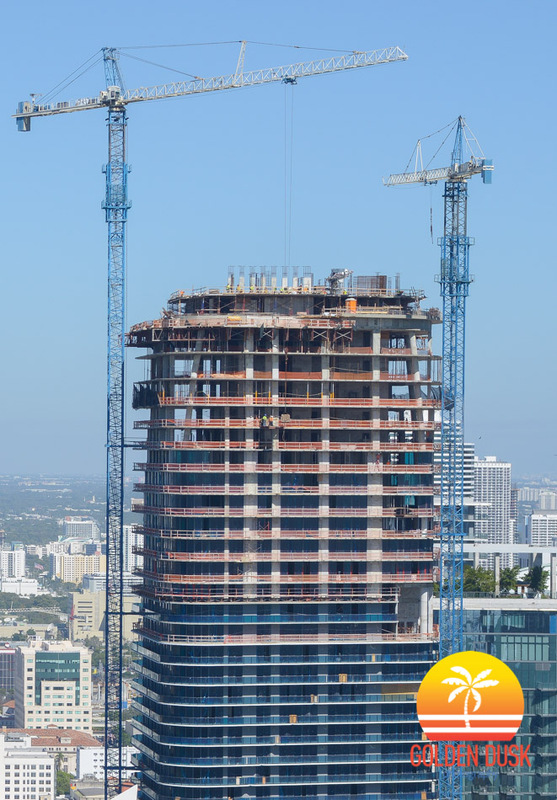 A year ago, SLS Lux Brickell had just reached the 33rd floor of construction. 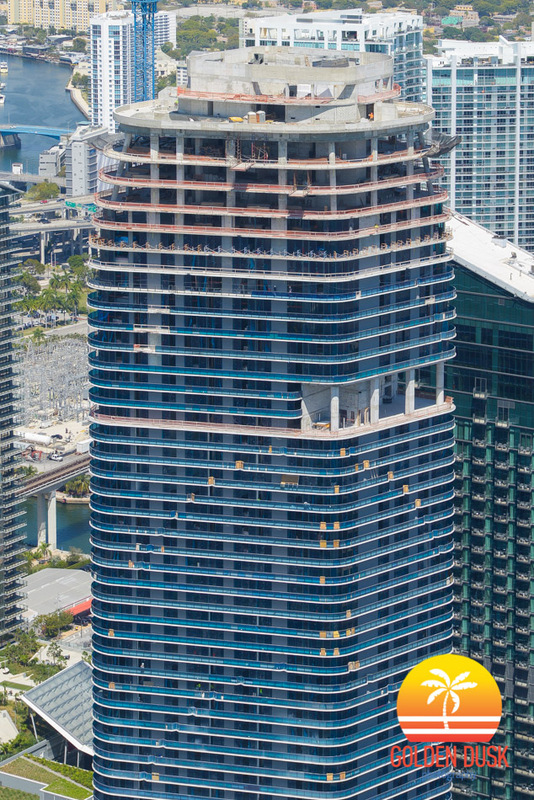 Now, the 58 story condominium rises over the surrounding buildings including Brickell City Centre and the recently opened Brickell Heights. Construction is still progressing on the building as both cranes have been removed from the site since we last looked in March. There are only three more floors left for the balconies to be installed and the amenities deck is coming along. 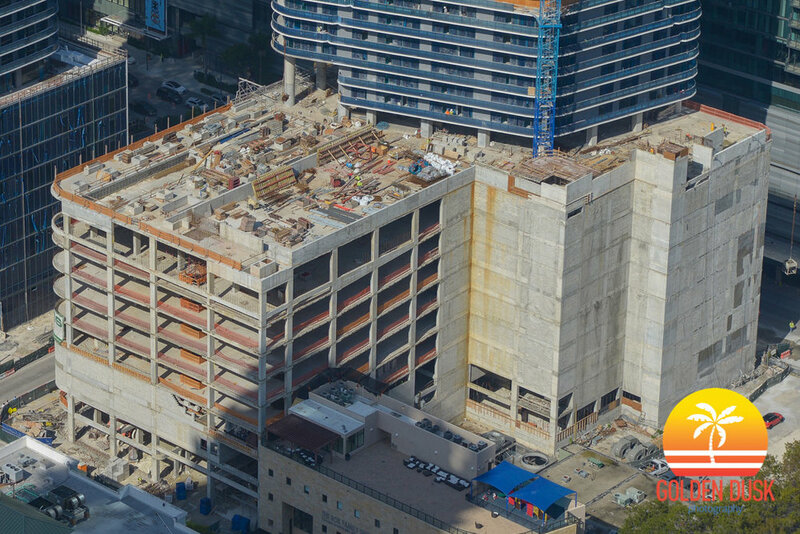 Previous construction photos of SLS Lux Brickell since groundbreaking can be viewed here. 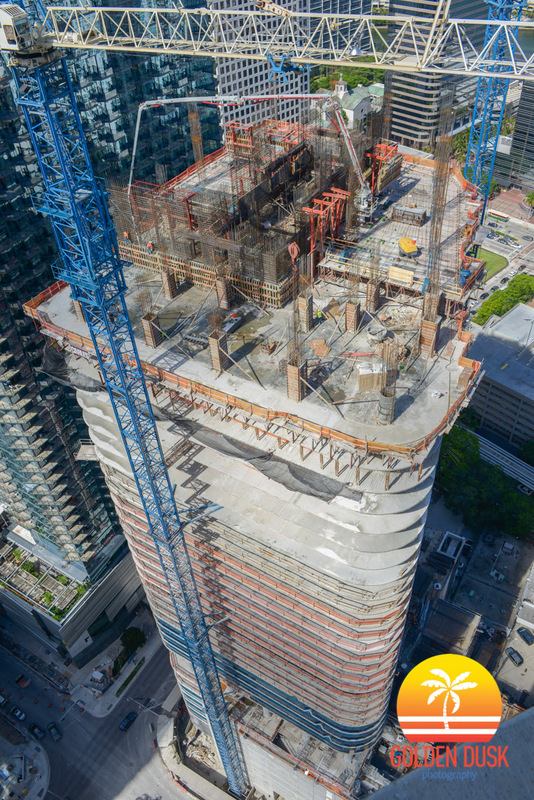 The 58 story SLS Lux Brickell at 801 South Miami Avenue is making progress since topping out in December 2016. The parking garage is almost completely enclosed and the mural by artist Fabián Burgos is extending further along the West side of the base. 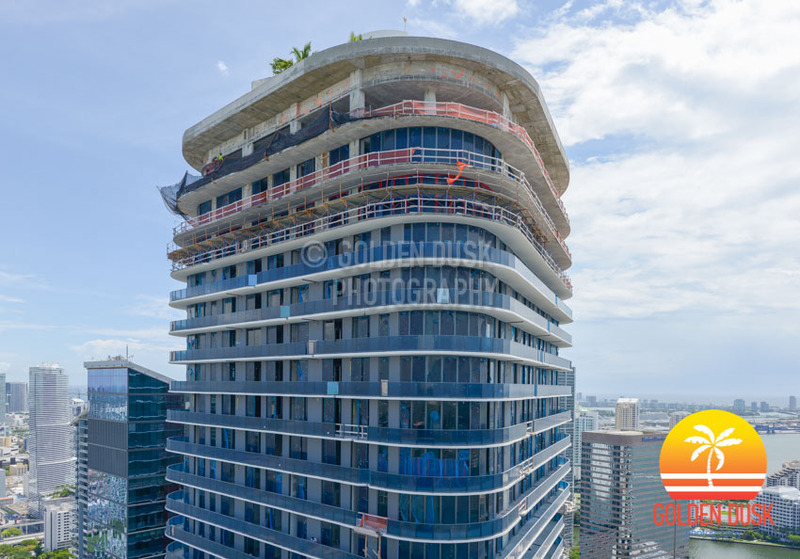 Only 6 floors remain for the balconies and windows to be installed. The top the building is taking shape where there will be a rooftop pool. Construction is expected to be completed by November of this year. 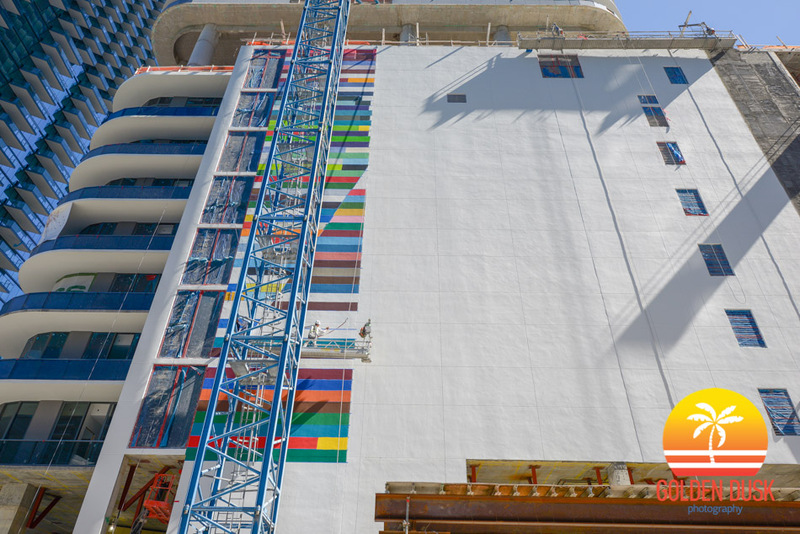 Since topping off in mid December 2016, SLS Lux Brickell is starting to get its colorful mural on the West side of the parking garage. 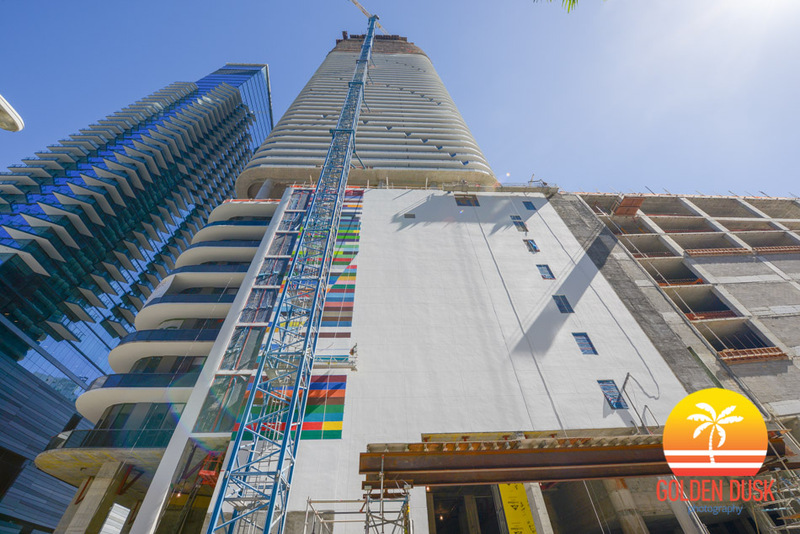 The mural, created by artist Fabián Burgos, is the same mural that is going along the base of the under construction Brickell Heights across the street. 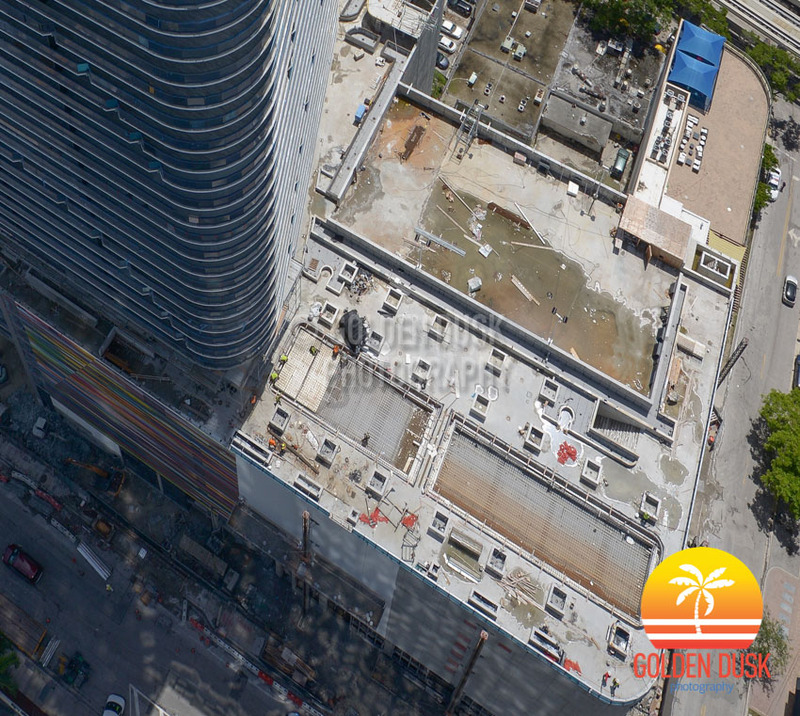 The Arquitectonica designed building is expected to be completed by September of this year. 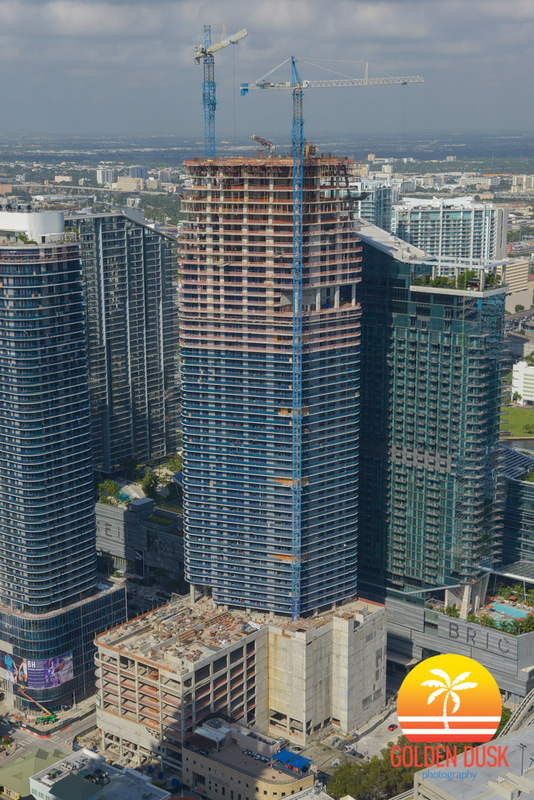 The 58 story SLS Lux Brickell located at 801 South Miami Avenue has topped off. 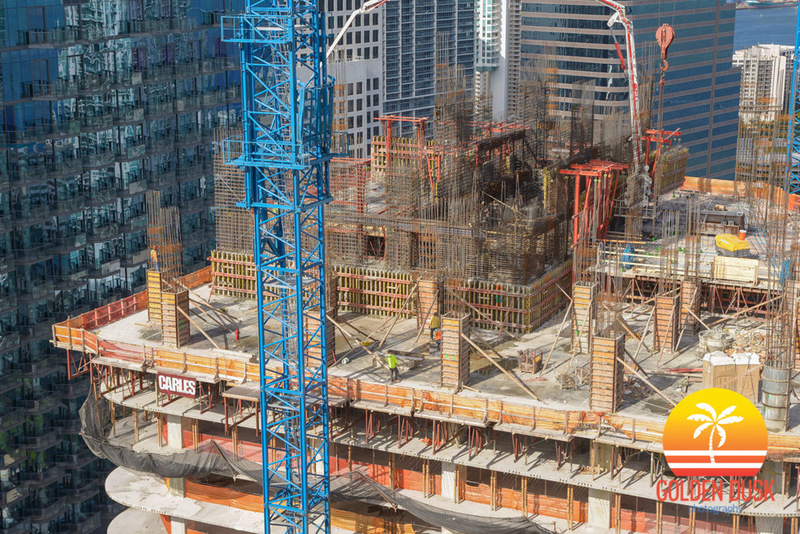 At the beginning of the year the SLS Lux Brickell was at the 10th floor and in December 2014 groundbreaking began on the project. 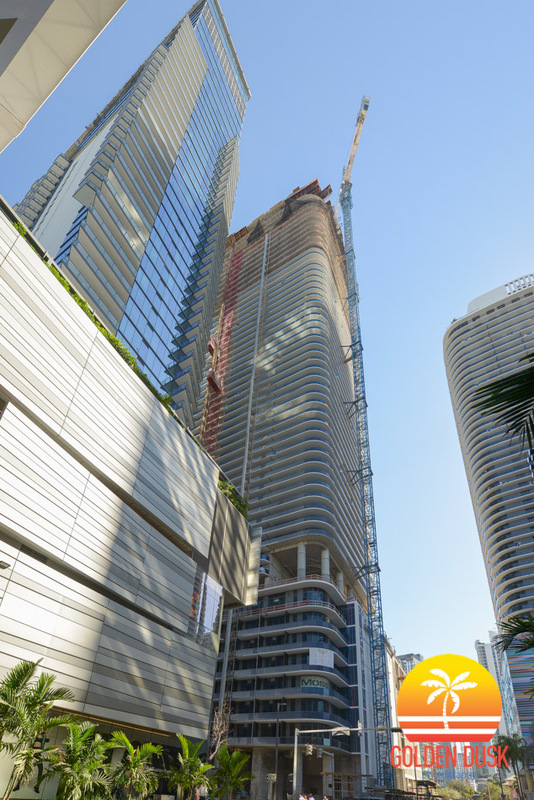 The SLS Lux Brickell is located across the street from the newly opened Brickell City Centre and the almost completed Brickell Heights. 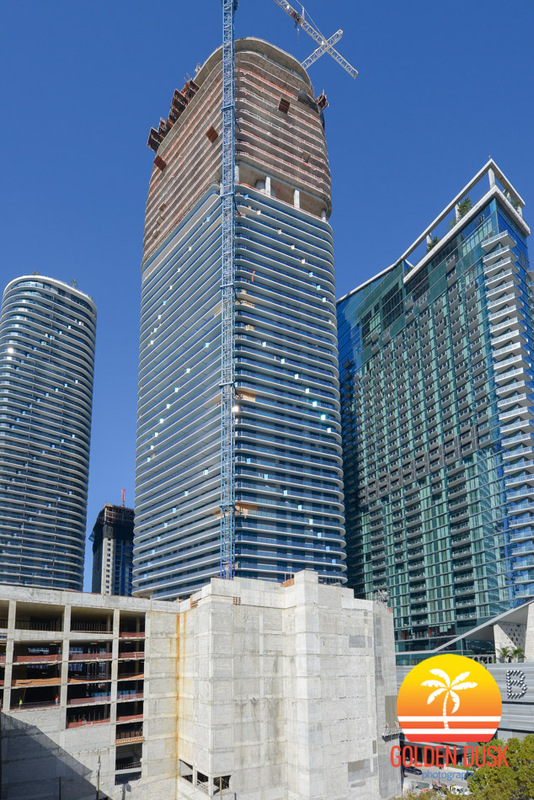 These three buildings, along with several other towers have dramatically changed the landscape of Brickell over the last three/four years. Construction is expected to be completed September 2017. 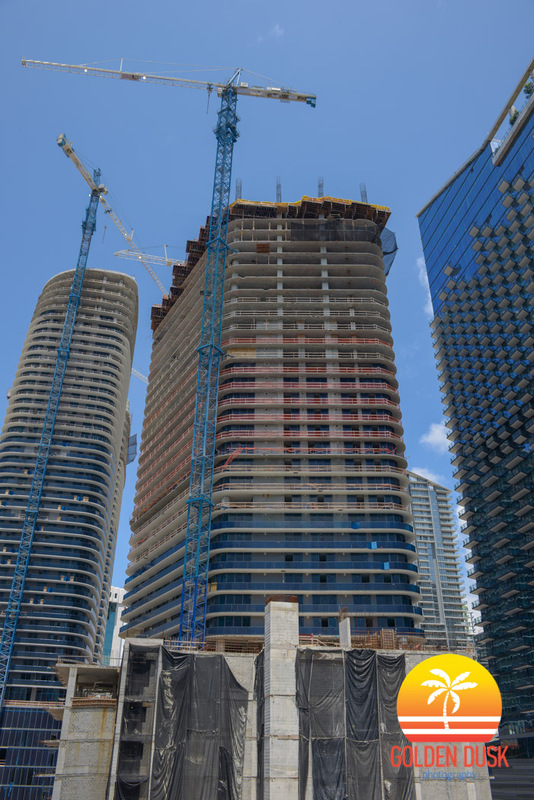 The 58 story SLS Lux Brickell, located at 801 South Miami Avenue is getting closer to topping off. 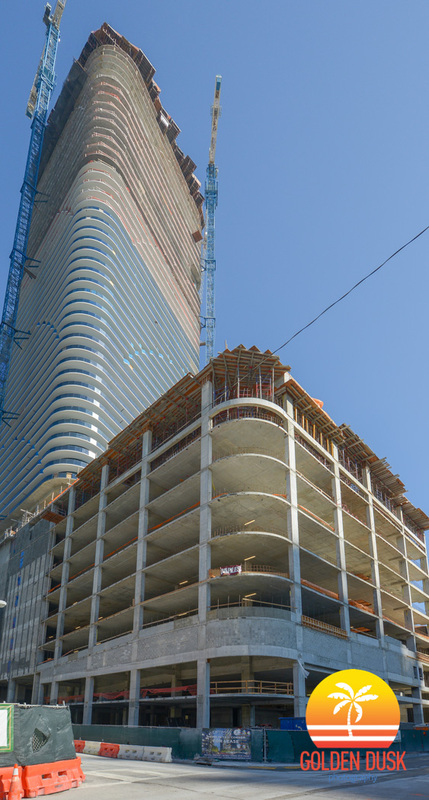 The luxury condominium is currently around the 52nd/53rd floor. 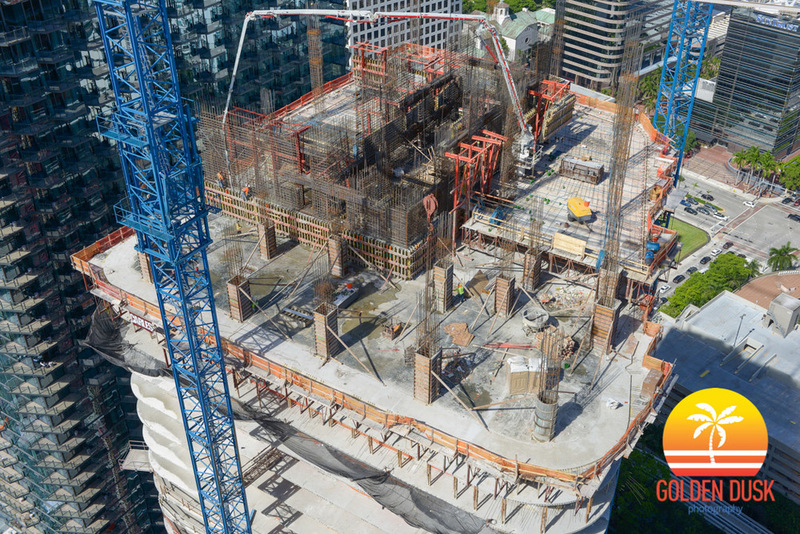 Groundbreaking on the tower began in December 2014 and started going vertical in August 2015. 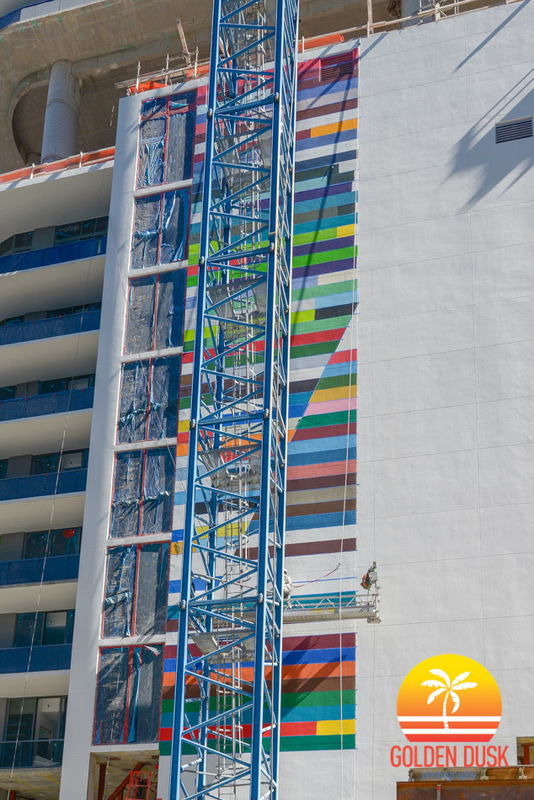 The building will have 450 residential units with private elevators and the façade will feature an LED lighting by artist Ana Isabel Martinez and a colorful mural by artist Fabián Burgos, similar to what is currently going up at Brickell Heights. 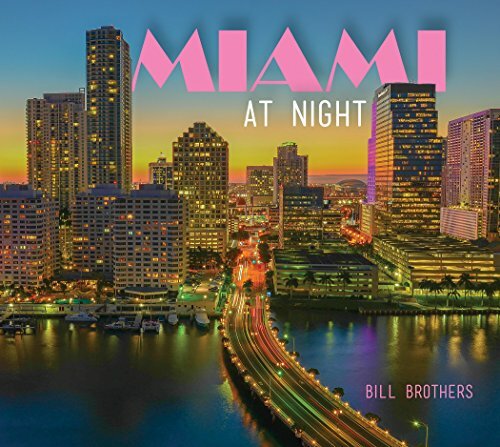 The SLS Lux Brickell is one of many towers in Brickell including Brickell Heights and Brickell City Centre that are creating a dramatic transformation to the Miami skyline in just three short years.